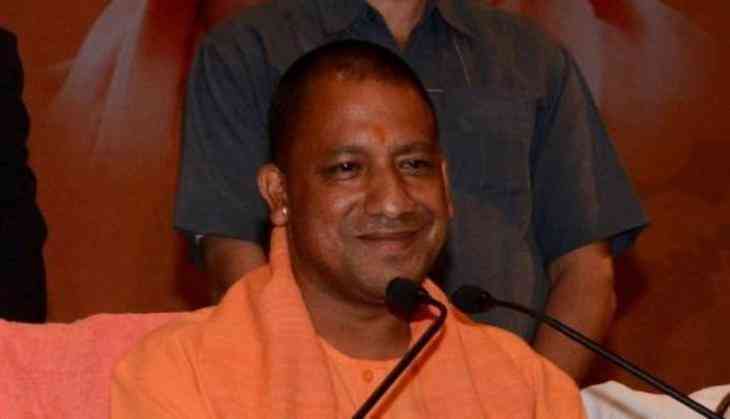 Uttar Pradesh Chief Minister Yogi Aditynath-led government is considering to scrap Samajwadi Smartphone Yojana, Janeshwar Mishra Gram Yojana, and Lohiya Aasra aur Aawaas Yojana. The Samajwadi Smartphone Yojana promises the people free distribution of smartphones. More than 1.4 crore people - most of them youth - had registered online for the scheme. Those applying for the scheme had to be residents of Uttar Pradesh, above 18 years of age and finished high school. Besides, the applicant's family income had to be below Rs. six lakh per annum. The former Samajwadi Party government had said that the phones would be distributed in the second half of 2017. This comes after the Uttar Pradesh Government has decided to shed the 'Samajwadi' prefix from all the projects initiated by the previous regime. Names of the Samajwadi Ambulance Swasthya Sewa and the Samajwadi Pension Scheme are among those in line for a change of name. This is, however, not for the first time that the state is going to witness politics over names. The erstwhile Congress-led UPA government at the Centre and the Samajwadi Party government in the state had indulged in a war of letters over the use of 'Samajwadi' in the ambulance scheme. The then Central Government had even threatened to withdraw funding for the scheme if the prefix was not removed from its name. The Samajwadi Party government on its part decided to run the scheme from its own resources. The Samajwadi Party leaders, including the then chief minister Akhilesh Yadav, had argued that the word 'Samajwadi' was mentioned even in the preamble of the country's constitution and hence should not be linked with any party politics. After assuming office in 2012, the Akhilesh Yadav government had rechristened eight districts named after the Bahujan Samaj Party (BSP) ideologues. The Samajwadi Party government had also decided to restore the name of the state's prestigious medical university as KGMU that the erstwhile Mayawati-led BSP government had named as Chhatrapati Shahuji Maharaj Medical University. The sensitivity over the name is, however, not a state-specific phenomenon. Narendra Modi-led NDA government at the Centre to has renamed a number of central schemes after the Bharatiya Janata Party's ideologues. These include - Deen Dayal Upadhyaya Gram Jyoti Yojana (for Rajiv Gandhi Gramin Vidyutikaran Yojana), Atal Mission for Rejuvenation and Urban Transformation (for JNNURM) Rural Electrification Scheme), Pradhan Mantri Gramin Awas Yojana (for Indira Awas Yojana), Deen Dayal Upadhyay Antyodaya Yojana (for National Urban Livelihood Mission) and Deen Dayal Upadhyay Gramin Kaushal Yojana (for National Skill Development scheme) to name a few.